Wow, that was absolutely tremendous! For the past ten days or so I've been glued to my Cupcakes & Coasters Facebook inbox, meticulously filing away all of your nominations for this year's Clamshell Awards. The response has been absolutely staggering and I've had double the amount of channels nominated for the various categories this year with over 200 channels given a mention compared with last year's 100. We certainly are a talented, dedicated and creative bunch aren't we? Thanks so much to everybody who took the time to submit a nomination form, it's been absolutely fantastic seeing all the praise shared for all of the theme park content creators and also ended with me having a list a mile long of new creators to check out - perfect to while away the closed season for sure! But enough of me waffling on, I'm assuming you're here to check out the nominations for this year's awards yh? Well, without further ado I present to you the shortlisted nominees for The Clamshell Awards 2018! Prize - Invitation for two to Liseberg amusement park including overnight stay at Hotel Liseberg Heden and a three course dinner at one of the park's restaurants with the best view of the stage and the Kraftwerk 3D show August 30th. So, time to vote! 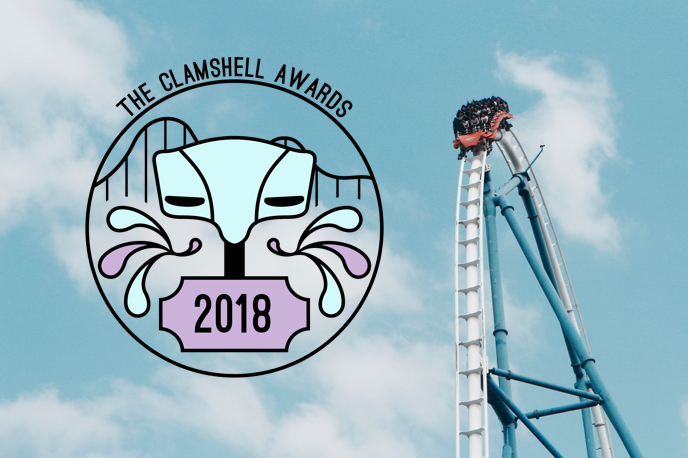 Voting will be open for the next week and a bit, and I'd love for you to use #TheClamshellAwards2018 to let everybody know you've voted. Good luck everyone!